In this compilation, the authors propose chemometrics as an important contribution towards authentication, typification and traceability of grapes and wines in combination with various analytical chemistry methods, maintaining that the wine industry has a need for rapid techniques for evaluation. Afterwards, the scientific research detailing determination and quantification of individual thiol compounds primarily in Sauvignon Blanc wine is presented. The results suggest the strong influence of geographical origin as well as vinification method. Later, the authors review the evolution of the phenolic compounds during the red wine ageing process and the impact of the major phenolic classes on red wine sensory characteristics. The formation of polymeric pigments by the covalent reaction of anthocyanins and proanthocyanidins explain some of the detected sensory changes in colour, taste, and mouthfeel attributes of red wines. A study is included in which twelve yeasts isolated from local grape berries were characterized for morphological, biochemical and physiological parameters. A periodic enumeration from the grape berries during initial veraison period revealed an increase in microbial count for both yeast and malolactic bacteria. 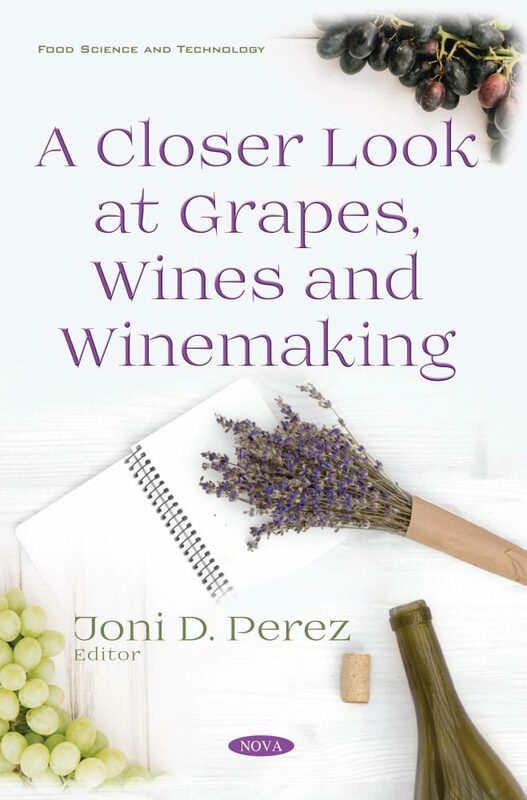 This book also reviews the different modern winemaking technologies used for red wine production (particularly during fermentative maceration process) and their impact on phenolic composition of red wines, especially on anthocyanin and proanthocyanidin content. An analysis of Saccharomyces cerevisiae is included, determining that it is the most important yeast species involved in wine fermentations, as it may preserve the typical quality andﬂavor of regional wines. Afterwards, O. oeni is introduced as a candidate for malolactic fermentation starter culture. Thus, the authors suggest the use of selected strains of O. oeni as an effective tool to enhance wine aromatic complexity through malolactic fermentation. Also in this book, the authors analyze results of 12 Regional Climate Simulations of the CORDEX project using an ensemble constructed by a multiple linear regression approach for the RCP4.5 and RCP8.5 scenarios. Four different indices were chosen that take into account temperature and rainfall to synthesize the influence of climate on viticulture. The final chapter discusses a virtual environment for training and practicing work in winemaking, named BITWINE; evaluates winemaking competences developed by trainees of wine-themes using BITWINE, and discusses the future challenges for the Chilean wine industry in using virtual learning environments as a tool to improve workers competencies for winemaking.